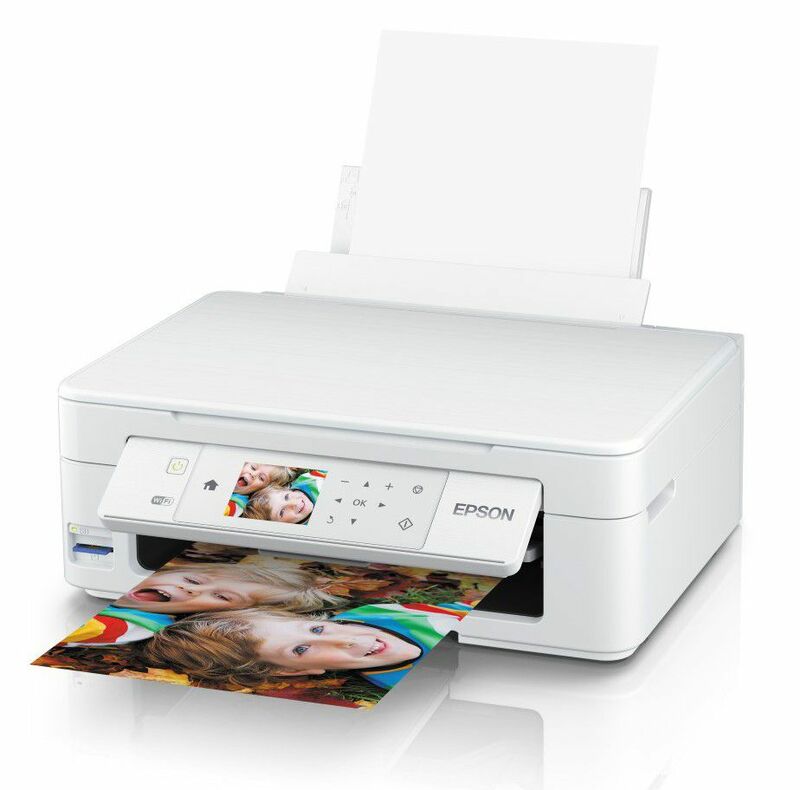 The multifunction printer Epson Expression Home XP-445 is compact and suitable for occasional use at home, as the test shows. 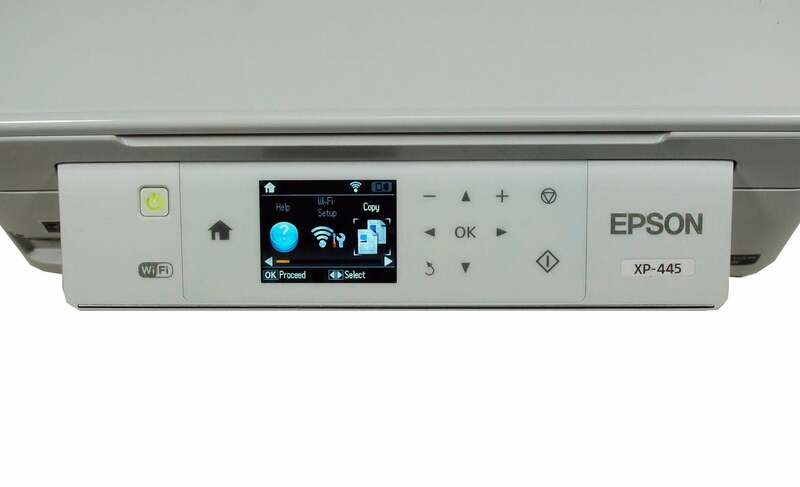 If the driver is installed for the Epson Expression Home XP-445, it runs under the designation “XP-442 445 Series”. It covers more than one model. 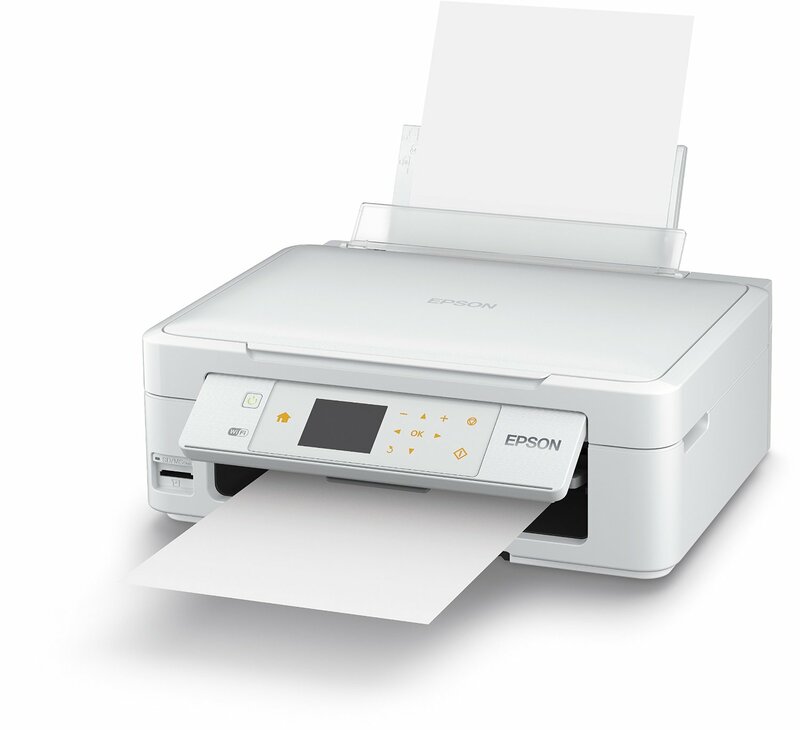 The reason: The ink multifunction printer is available in two versions-as XP-442 in black, as XP-445 in white at PrinterHall. Apart from the color, the combi printers are identical. They do not have a fax function, but they can print, scan and copy. 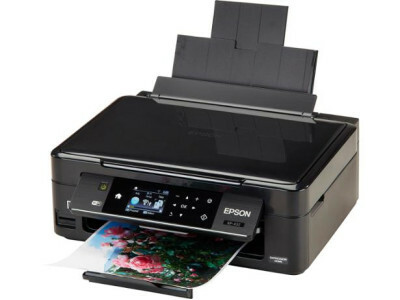 They can be controlled by the smartphone and tablets via services such as AppleAirprint, Google Cloudprint and Epson Connect, as well as the “Epson iPrint” app. 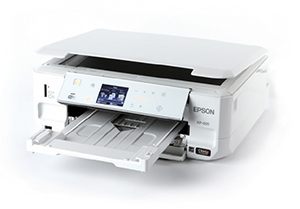 Print, scan and copy relatively little, you can become familiar with the Epson Expression XP-445. 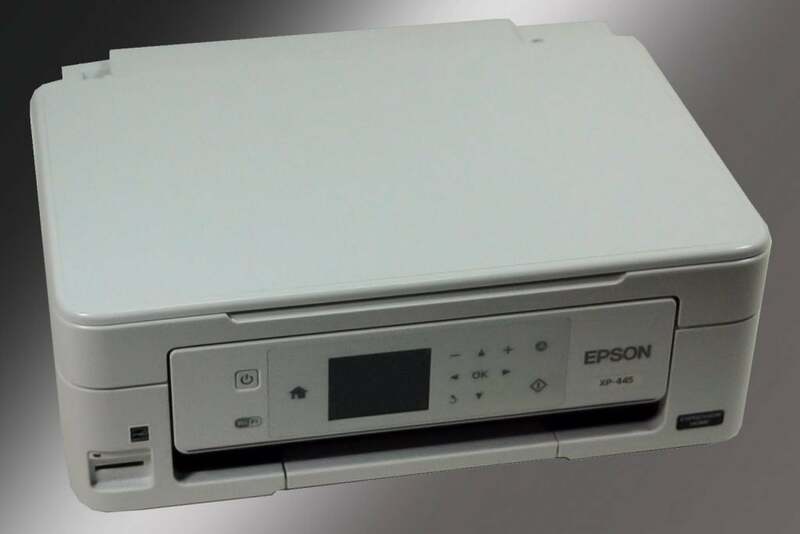 However, the multi-function printer is not suitable for higher throughput because the working temperature is too low and the side rates are too high in the long term-despite the four separate ink tanks. The compact dimensions relativize themselves somewhat in use. This is because the paper supply and storage area is covered by additional space to the rear and front. 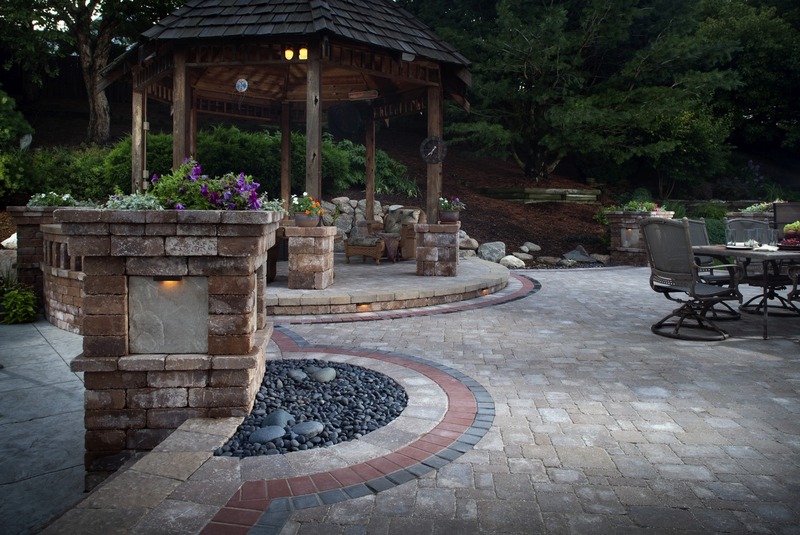 For the price class, the delivered quality is right. This makes the multifunction printer at home a good value for money. 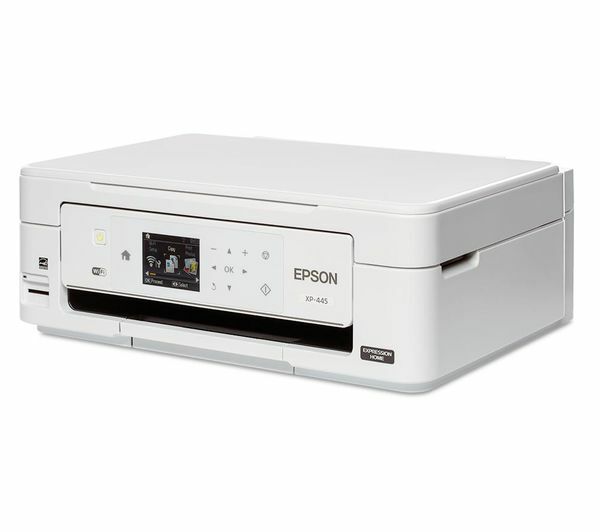 When delivered, the Epson Expression Home XP-445 is very compact. For operation, however, we need to extend the paper feed and deposit tray. At the same time, the multifunction printer loses its slim dimensions somewhat, because the paper draws it from behind-not from the bottom. Up to 100 sheets fit in the tray-the standard stock of multifunction printers of this category. The paper tray is a sturdy construction – this is not a matter of course, because in many cases multifunctional devices for the home use have quite rattling devices for collecting the finished prints and copies. 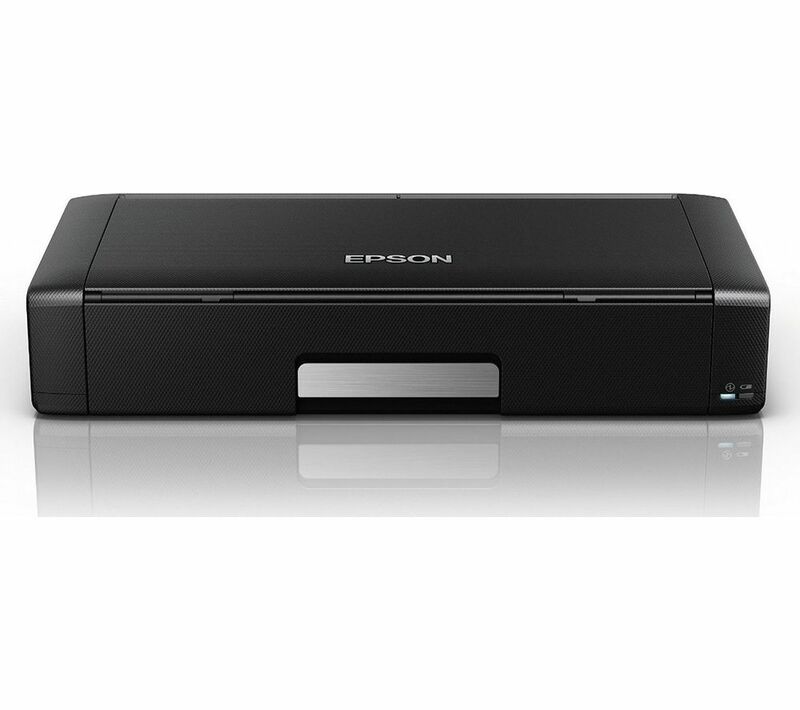 In addition to USB 2.0, the Epson Expression Home XP-445 is based on n-WLAN and Wi-Fi Direct. For this purpose, he offers an SD card slot on the front of the unit. The control panel can be unfolded and brings a special feature: the manufacturer has installed a display with a soft surface for easier typing. However, the model lacks the touch function.Rather, we can only control in the test with a separate keyboard with arrows and “OK” -key through the menu. Its construction is clear, the symbols self-explanatory. Although an automatic duplex unit is missing from the XP-445, the combi printer prints on the front and back of a sheet by means of a manual (duplex) manual. 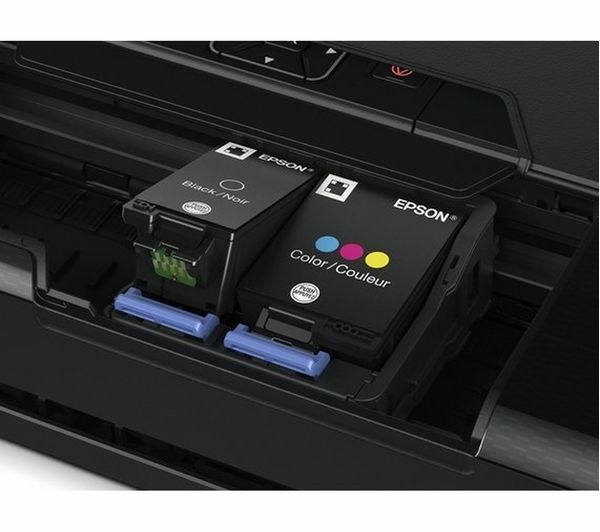 In the Epson Expression Home XP-445, there are four individual ink tanks separated from the permanently installed printhead. Even with XL inks from the Multipack, we do not calculate a bargain page price with 3.7 cents for the black and 11.7 cents for the colored sheet. Especially the color side goes into the money. The electricity consumption is inconspicuous. 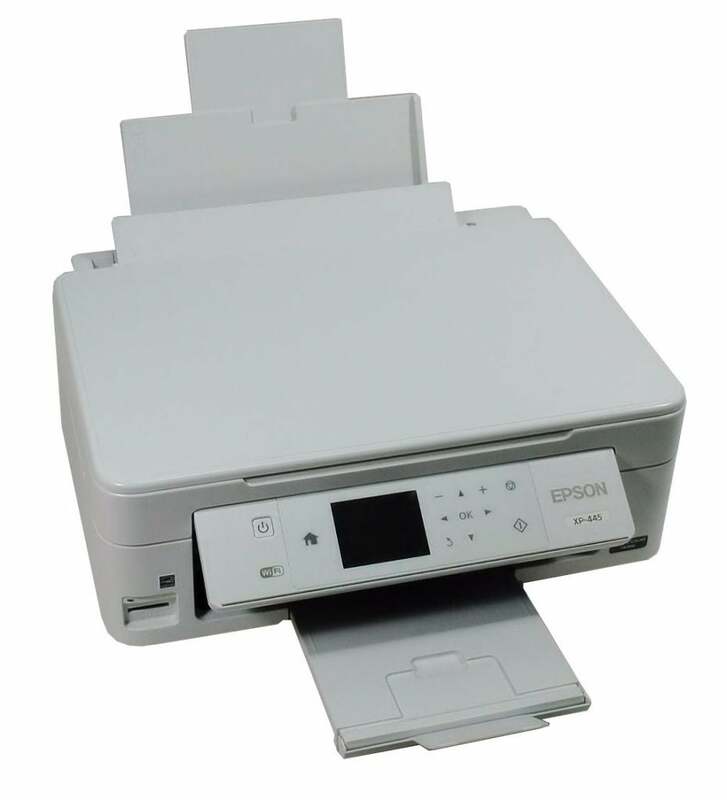 If the multifunction printer is connected to the USB port, the power supply in standby mode drops to 0.9 watts. Powered by WLAN, the meter shows 1.4 watts – both values ​​are okay. Less well, we find that the Epson model off does not separate completely from the power supply, but rather pulls still 0.1 watts.This is not a high consumption, but simply unnecessary. 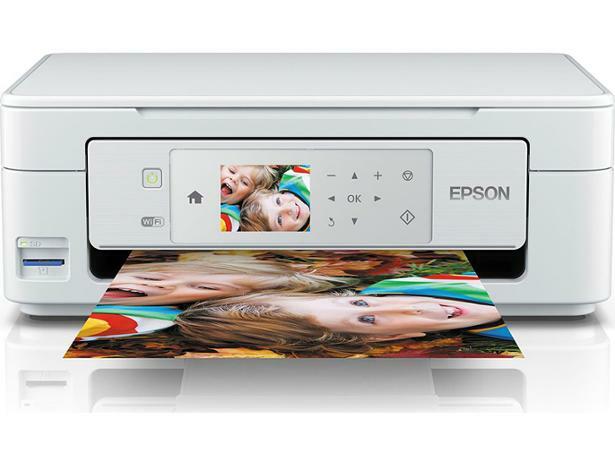 In the test, the Epson Expression Home XP-445 can be edited on average in order to complete the tasks. Ten text pages from Word are finished after one minute – an average value. After all, the same print job takes the same time over WLAN, so it is not delayed by the wireless interface. If color comes into play, the print speed drops further. So we wait for ten PDF pages with color graphics and images 4:52 minutes – this is comparatively long. Also a borderless photo in the format of 10 x 15 centimeters is created with 2:52 minutes relatively slowly. Similarly, the scan is too slow: if the preview is still ready after an acceptable ten seconds, the XP-445 needs 28 seconds for a color scan. In view of these values, it is no wonder that even copying takes its time, as the color copy shows with 41 seconds. 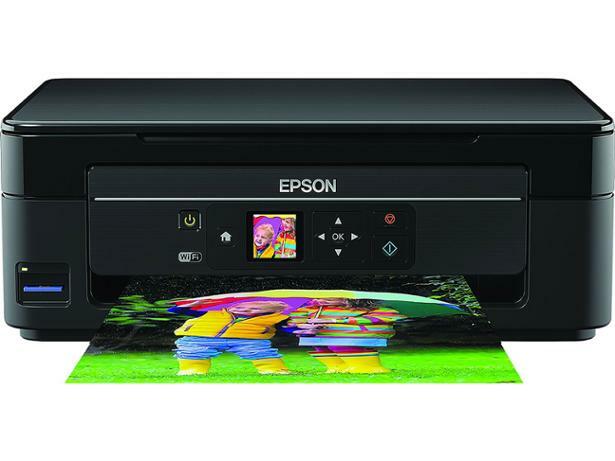 The Epson Expression Home XP-445 gives you good results. For text, the printer uses pigmented ink. This creates a good black cover on plain paper. In the test, though, we find slightly rough character margins through the magnifying glass, but the texts remain legible. The grayscale also pleases. The dye-based inks of the colors blue, red and yellow produce harmonious colors, which are relatively saturated on the paper. Since the device is slightly over the blue areas, our test prints are slightly cold. This is particularly noticeable in skin tones. On the copies surfaces are relatively restless. For this, the XP-445 retains the original size of the original, which allows 1: 1 copies. The scanner cuts only slightly at the end of the page. Therefore, contents that go close to the page edge may not be duplicated.